Grow reports of several cannabis strains. Usually, beginner growers have a lot of questions: What strain should I grow? In what substrate? What fertilizer should I use? Is this lighting system suitable for me? In this category we want to show you different growing setups, step-by-step instructions to properly take care of your plants and several farming techniques like SOG and SCROG. You will also see many pictures to help you obtain high quality pot. 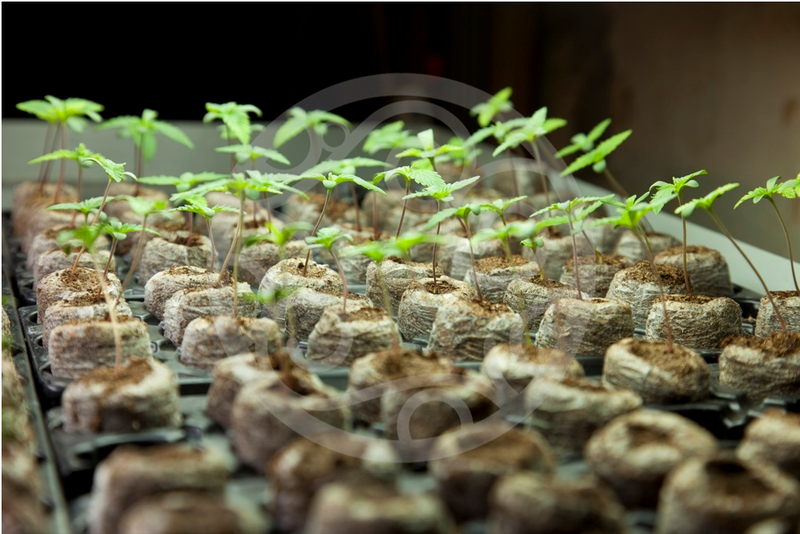 Today we present you a grow report made by the guys at Colorado Seed Int. with their Clementine Kush, an amazing and tasty hybrid between Tangerine Sunrise (awarded as one of the top 10 best strains in Colorado in 2014) and Gupta Kush, one of the flagship parents of this American seed company. 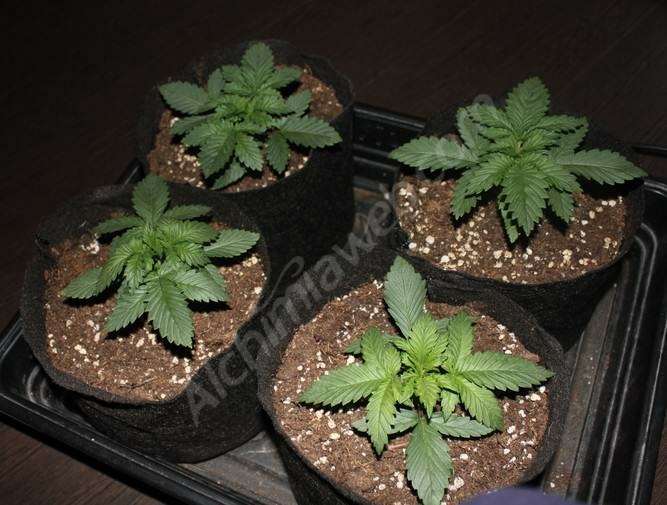 Remember that you can pruchase Colorado Seeds strains in feminised form only at Alchimia! In this article we present you a grow report of one of the latest cannabis strains developed by Delicious Seeds, Eleven Roses. 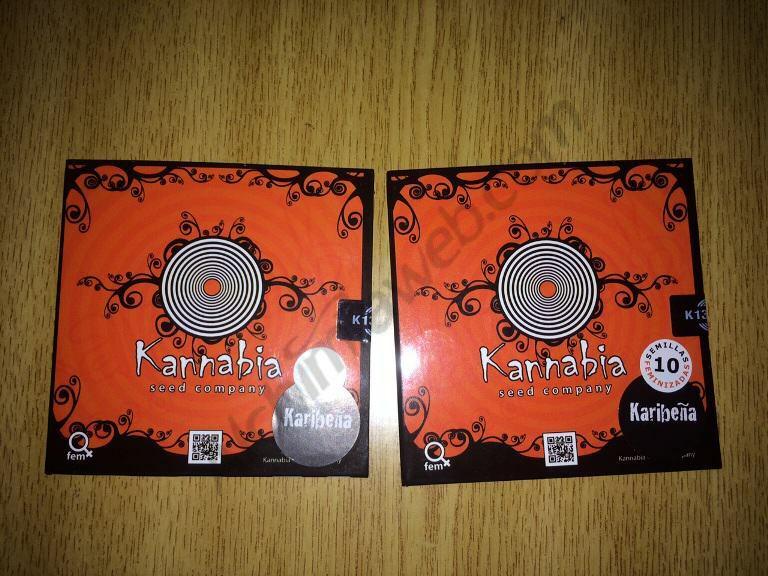 It comes from the crossing between their Sugar Black Rose strain and Appalachian Kush. 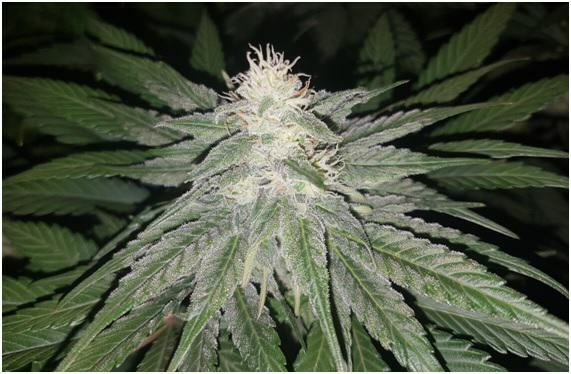 The resulting plant is a mostly Indica hybrid with very short flowering period, around 55 days. As we’ll see, it develops a prominent main cola full of compact and resinous buds. Some plants turn into a beautiful purple colour during the bloom stage. The range of nutrients formulated by Metrop is ideal for all the stages of the plants, from seedling to harvest, also being suitable for different growing media like soil or hydroponics. In this article we will show you our results with Metrop nutrients. 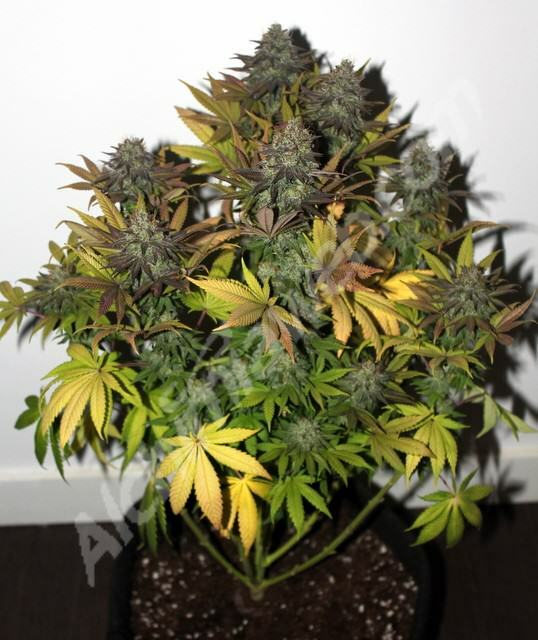 Today we present you a grow report of Zombie Kush, a feminised cannabis strain developed by Ripper Seeds which stands out for its vigorous growth and awesome resin production. Thus, the Ripper Seeds Zombie Kush seeds were sharing a small 1 x 1.1 x 1.2m grow room with a couple of automatic plants which were halfway through their life cycle and , as you’ll see, they adapted perfectly to the 20/4 photoperiod. The lighting system used was a 250W LED Full Spectrum lamp, so there were no problems with high temperatures. Let’s see in detail how these ladies performed on this indoor environment. 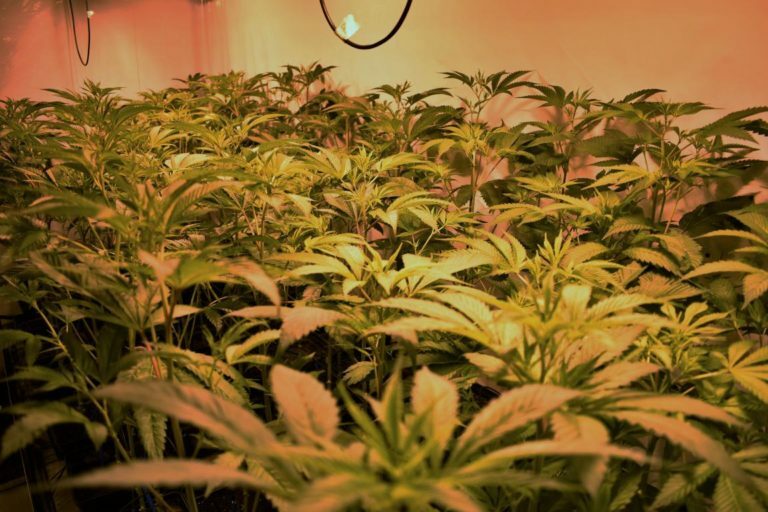 There are many growing systems that can be used to grow cannabis indoors. In this case we present you a lighting system for those growers who are looking for easy gardening but also demand quality harvests. Thus, the grow tent used for this article was a 60 cm x 60 cm Darkroom with a 280w Phytolite Led panel. 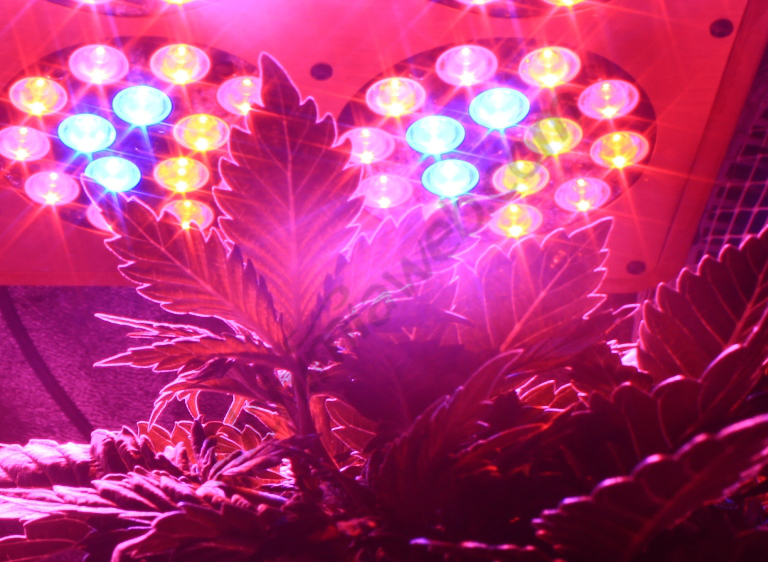 LED lighting systems are known to have limited side diffusion, so this type of lighting system adapts perfectly to our grow area. 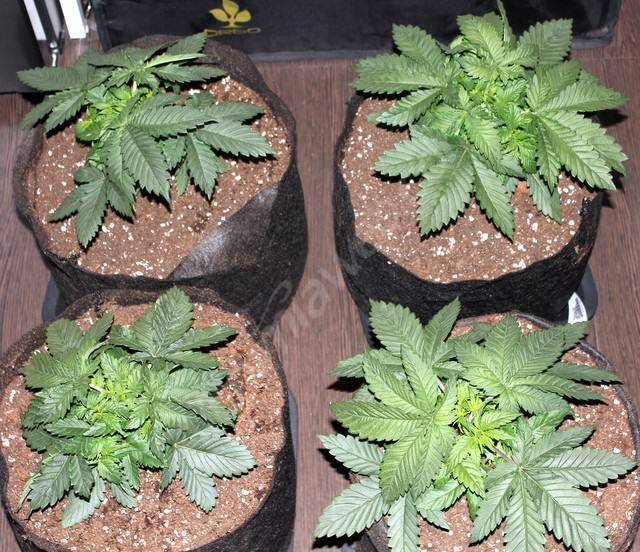 We decided to grow four plants of the strain Prozack from Medical Seeds, all in 11.6L Smartpots. A small clip fan was installed to move the air in the interior of the grow tent, as well as a 330 m3/h extractor fan which we connected to a GSE climate controller. A small 160 m3/h extractor would have been enough, but since we could adjust the power of the extractor with the GSE controller we used a 330m3/h fan at lower capacity, which is more silent than a less potent fan running at full power. 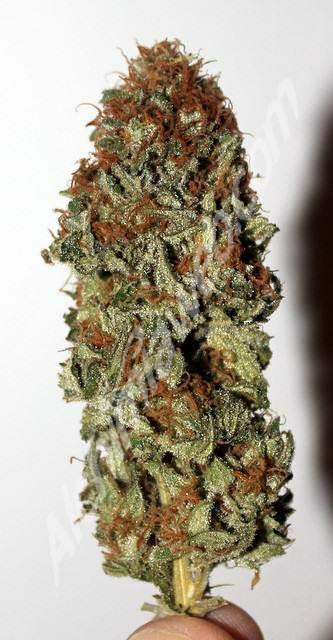 We chose Prozack for its typical Indica traits (it is the result of a cross between Lavender and Kush). 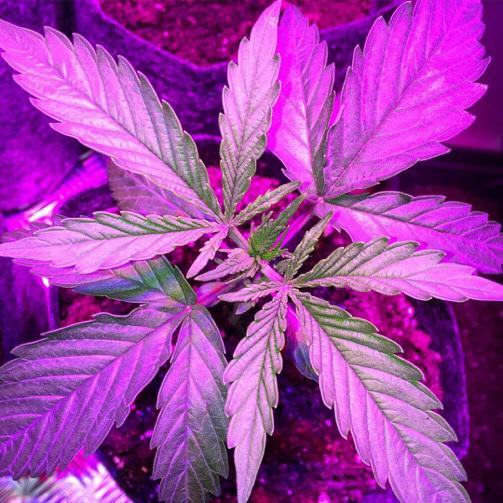 It grows compact and develops short internodal distance, with the ideal structure for our LED system, which does not penetrate into the canopy as much as HPS lamps do. As for the nutritional needs of the plants, we used solid nutrients from the start to avoid using liquid fertilizers. We enriched our soil with Aptus All in One, which is a 100% natural product rich in macro and micro nutrients and amino acids, necessary for proper development of the plants. We also added a bag of GHE Trichoderma to improve the absorption of the organic nutrients provided, and B.A.C. Organic PK Booster during the bloom stage to avoid any deficiency of these elements. The substrate was prepared mixing the 50L of Light Mix and one 11L Pressed Coco brick (hydrated) with 100g of Aptus All in One and 10g of Trichoderma Harzarium from General Hydroponics. We germinated our seeds between two damp paper towels. After 48 hours all the seeds had sprouted. The germinated seeds were planted in Jiffy pellets, which were in turn transplanted into the 3,8L smartpots a couple of days later. The mycorrhizae was put in the hole made for the first transplant to ensure that it will get in contact with the roots, creating a sinergy from the very first moment. The temperatures inside the tent were quite stable during the grow. We kept a relatively high humidity level (70 – 80%) during the first stages of the plants to have a more lush and healthy growth. Our Prozack plants showed a very homogeneous growth pattern. The distance between nodes was really short, and the leaves were thick and broad and with a beautiful dark green color. We watered the plants with just water every 3-4 days. We simply waited until the soil was dry enough between irrigations to maintain a heathy substrate, avoid problems with molds and stimulate the root system. The tops of the plants were pruned after 10 days of growth and the main branches were cropped repeatedly. This allows the plant to develop a more compact structure , creating more branches and more elongated colas per m2. 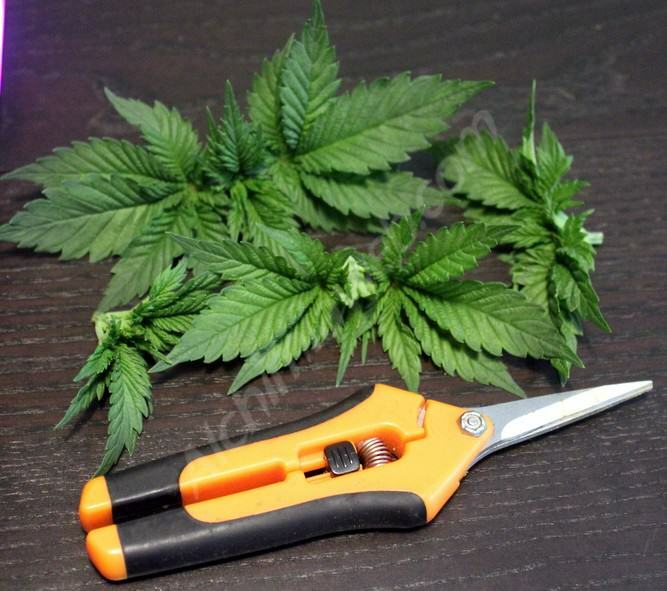 These techniques slightly stress the plants, that is why it is important to avoid transplanting them right after/before pruning or cropping. You must wait a couple of days so the plant is completely recovered. 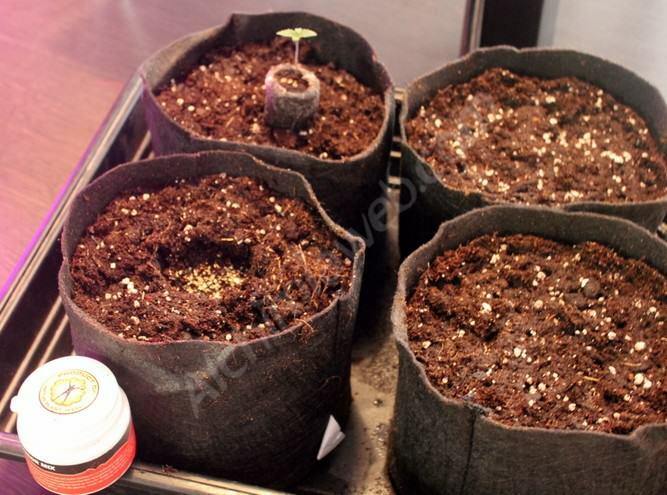 The transplant was performed after 3 weeks of growth, replacing the 3.8L Smartports for those of 11,6 L. The transplant is more delicate than with plastic pots, for the roots are usually attached to the bottom of the Smartpot. 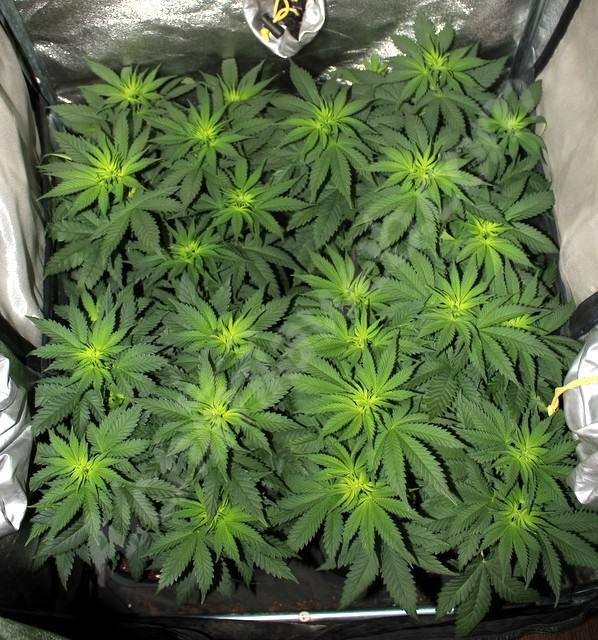 An advantage of the Smarpots is that they retain few heat, and by using LED lamps we could provide an ideal environment for the development of our Prozack plants even if we had high temperatures in the house where the tent was placed. 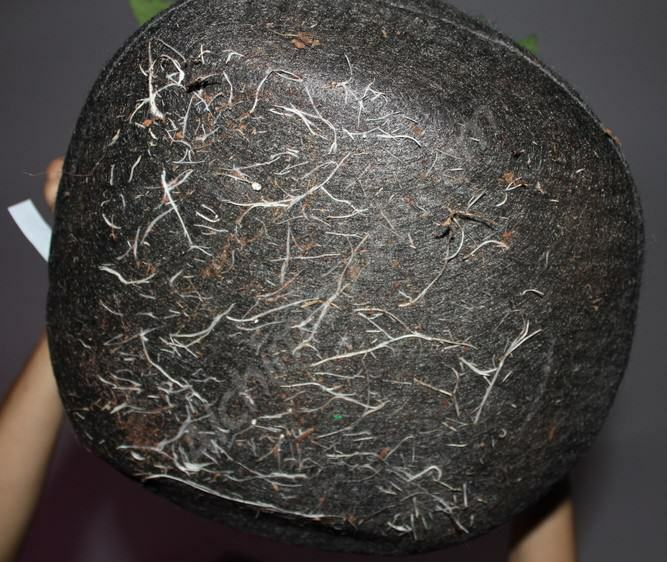 It is normal if the roots of the plant pass through the geotextil fabric of the Smartpots. There won’t have any bad consequence for the health of your plants, and you can actually take this opportunity to observe the color and the development of the roots. Healthy roots must always be white. We extended the growth stage for 4 weeks to allow this Indica genetics to develop nice side branches. We could have used the LST technique to bend the plant and improve light penetration into the canopy, but we wanted to see the real structure of the plant. After 4 weeks of growth our plants had taken all the available space, so we switched the photoperiod to bloom (12 daily hours of uninterrupted light/darkness). During this period the watering was performed with water, with no liquid fertilizers. We just used GHE’s Bio Roots stimulator following the dosage recommended by the manufacturer and with no control of the pH. 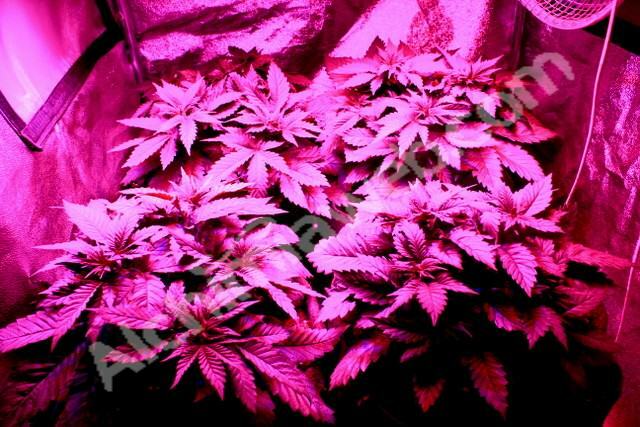 The development of our Prozack plants was pretty vigorous for a Indica variety. Internodal spacing was really short, being one of the main traits of this variety. We must also stress that LED lighting has a important role in this compact development of plants. The stretch period lasted for 2 weeks, and keeping our plants short and compact was not too hard since it is a mostly Indica variety. We just cropped the main stem several times to achieve maximum development of the secondary branches by stimulating auxins. The plants rapidly showed small signs of deficiencies, so we decided to use a small amount of liquid fertilizer for the flowering stage. B.A.C Organik PK has Potassium and Phosphorous and can be used from the middle of the flowering period. We used 1-2ml/L of this product between the third and the sixth weeks into bloom. Once the flowering started we could observe subtle variances between phenotypes. One of the plants grew taller than the others during the stretch, developing less side branches and purple leaves on the buds. The flowers were longer and less compact than the rest, with a notable floral scent. The other three plants developed plenty of secondary branches, completely full of buds. The flowers were hard and compact. The smell at the end of the flowering stage was so powerful that using a carbon filter was imperative. We also put a block of ONA gel in the exterior of the tent so no cannabis odours could be smelled in the house. After 9 weeks of flowering, the plants were harvested. 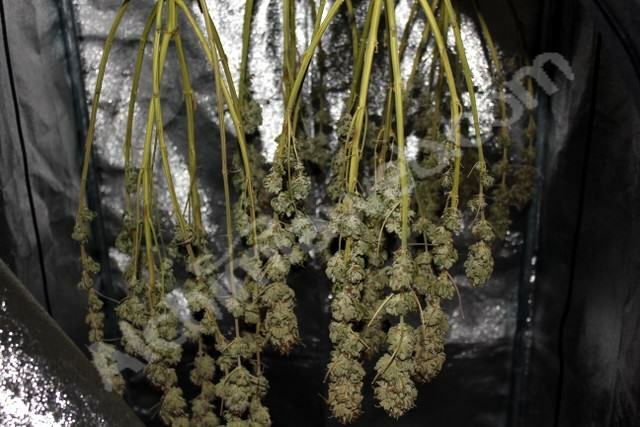 We removed all fan leaves and the plants were put in a closet for proper drying of the buds. After 15 days the plants were completely dry, and we removed all the small leaves. Those leaves were used to make a BHO extract. The buds were stored in glass jars to for curing, which highly improve their organoleptic properties. We made a number of BHO extractions using part of the harvest (approximately 3/4 of the it, which was more than 120 g). 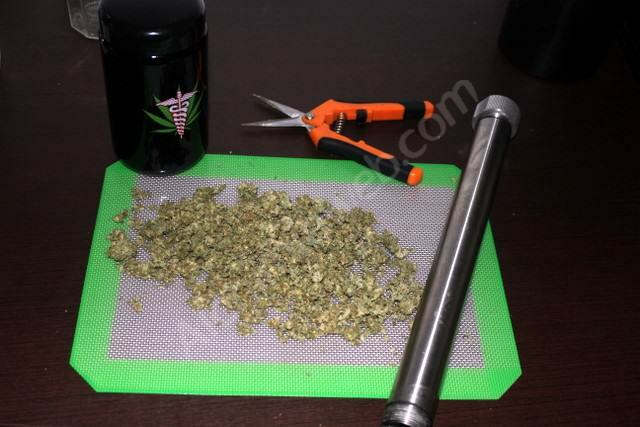 We used a Roller Extractor XL 300 and Colibrí butane. The oil was collected directly in an Oil Slick pad. Once the oil was collected we used a heating plate to purge the butane. 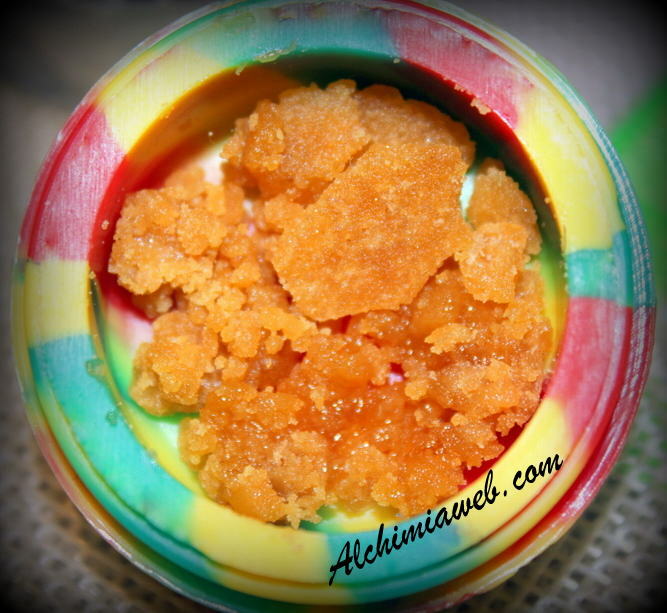 The resulting extraction once purged looked like crumble, with vivid orange color and sticky texture, being easily manipulated and dabbed. The Prozack dried buds induce a very relaxing body effect, while the concentration of cannabinoids in BHO form has the same relaxing effect with a considerable cerebral high. 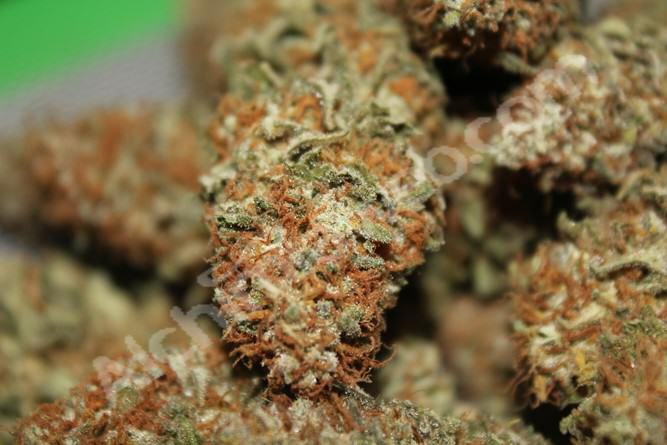 The taste and smell of Prozack are intense, earthy and with hashish notes. We hope you liked this post, see you soon! 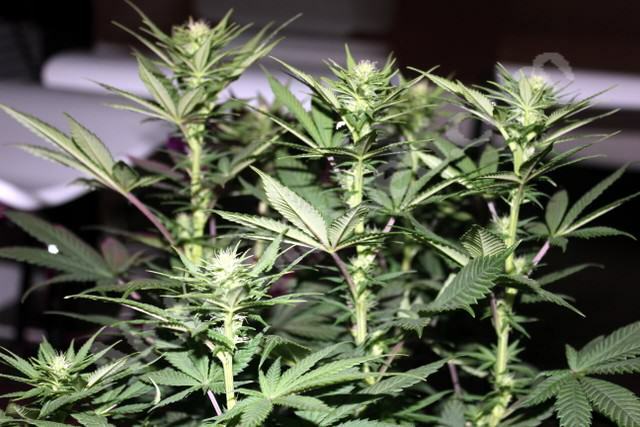 In this post we present you a cannabis grow report performed by the breeders of Kannabia Seeds Company, who explain us one of their growing methods with the Karibeña strain, along with growing tips that we all should remember. They will also tell us about their prefered nutrients and additives. In this new post, the breeding team of Philosopher Seeds seed bank shows you a growing report of the Sativa strain Fruity Jack / Jack el Frutero, recently awarded with the First prize at the 2015 Canary Islands Cup for the marijuana strain with the highest concentration of CBD, achieving an astonishing 10.8%. A Sativa marijuana variety with haze flavour and a valuable medicinal effect. To create this hybrid, Philosopher Seeds joined efforts with Reggae Seeds seed bank using its renowned Juanita La Lagrimosa , a cross between the legendary New York Diesel from Soma Seeds and the sativa strain Queen Mother – Reina Madre – from Delicatessen Seeds. This is a perfect choice for a large number of pathologies due to the diversified presence of cannabinoids, including THCV, which is very hard to find in commercial marijuana hybrids. 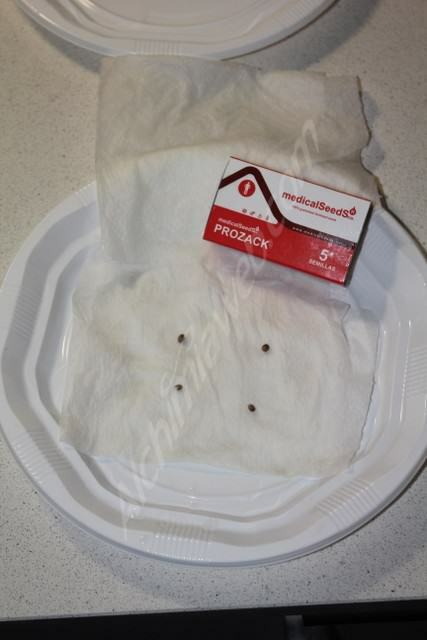 Use wet napkins or place the seed directly in water. Check the temperature of both the water and the environment (22º-24º). Dilute vitamin B or root stimulator (¼). Planting the seeds directly in the substrate. Using cold water (<18 °).